Brolga was approached by the BBC UK in 2011 while he was living out in the bush in a tin shack with his family of kangaroos. Brolga was asked if he would be interested in making a documentary about his work with kangaroos.Brolga thought this would be a great way to raise more awareness about the plight of kangaroos orphaned by highway accidents and about kindness towards animals around the world. 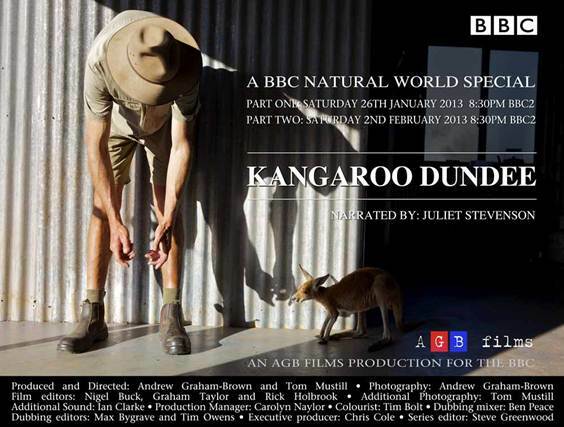 The BBC went on to make the documentary Kangaroo Dundee which was a wonderful success. 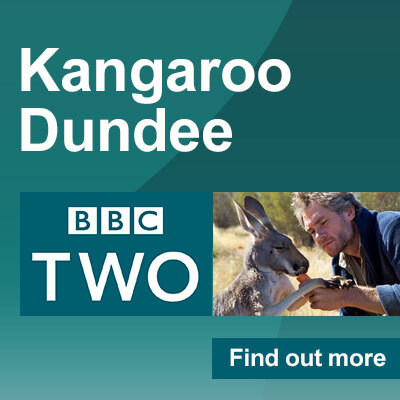 Kangaroo Dundee has just completed its third series which aired in 2016. 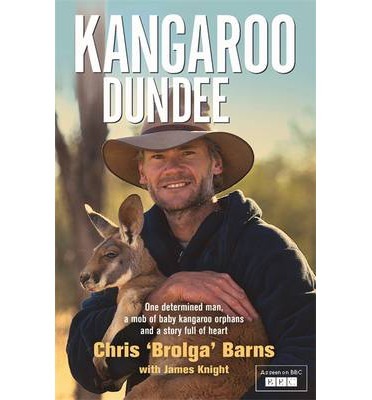 Kangaroo Dundee has shown all over the world. 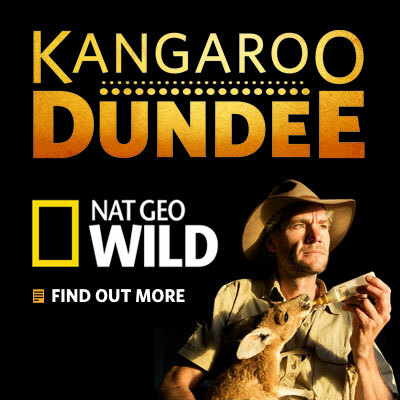 Kangaroo Dundee is a BBC UK / Nat Geo USA documentary that follows Brolga, a tough Australian who rescues orphan baby kangaroos and raises his mob of almost thirty kangaroos at an outback sanctuary near Alice Springs.